Even if you’ve got the best poker face in the world, your visage will start to tell your secrets as you age. Jowls, chin dimpling, and sagging neck skin are notoriously hard to fight with topical treatments - and not necessarily taken care of with fillers. But if your face isn’t aged to the degree that you’re comfortable with going under the knife, what are your options? 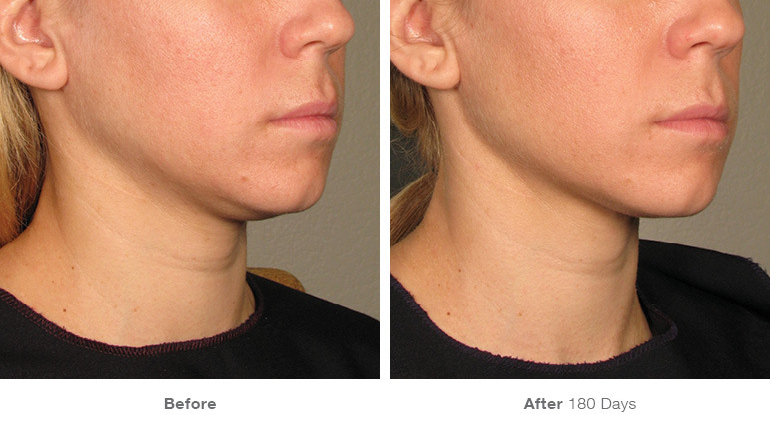 Is there non-invasive treatment for a sagging neck and jawline? To improve the appearance of your neck, jawline, and chin, you have to actually stimulate the various layers of the skin to effect a noticeable change. Traditionally, that’s been done with radio frequency at two locations, which targets only the first few layers of the skin. And while you’ll certainly see immediate results with these therapies, they won’t last you very long. For a treatment to truly work on the skin, you want it to actually damage the skin so that it stimulates regeneration - just like a chemical peel makes new skin grow by destroying the top layer of skin. Ulthera goes a few steps further than traditional radio frequencies: it goes deeper, to the layer of skin where collagen and elastin is produced. Ulthera uses ultrasound technology to essentially destroy and stimulate this tissue so that the skin has to “get back in shape” - which means improved elasticity and plumpness. 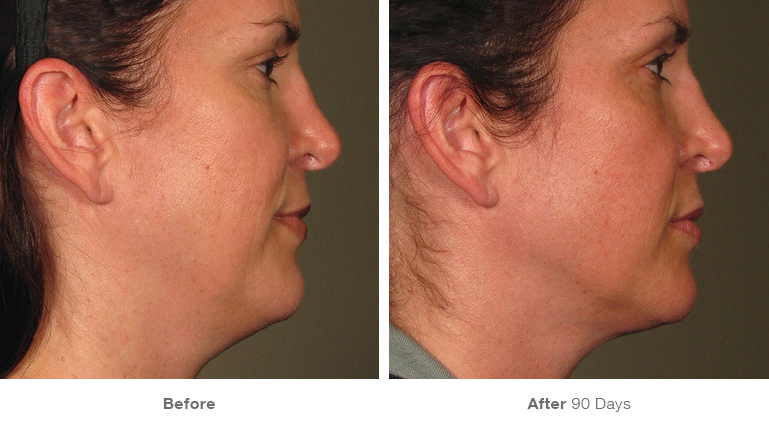 The therapy’s promotional materials explain it as an “uplift” instead of a facelift. While some patients see immediate results, the real magic (okay, science) of Ulthera happens 3-4 months after treatment - when much of the skin has undergone changes in texture. Most patients’ results last over a year, with some lasting as long as 2 years out. Your physician will have you take a painkiller and possibly some medication to help you relax. He will draw a sort of map on your face to illustrate the different areas in which it’s safe to Ultherapy, and then apply a topical cream to partially numb your skin. Then - the treatment itself. The Ulthera wand looks a bit like a large glue gun, and your physician holds it to your skin as it “zaps” the lower layer. The device is connected to a machine that guides the physician as to where the different layers of skin and bone are located, and how deep the treatment is acting. You might experience some soreness or swelling after the treatment, but nothing serious enough to keep you from your daily routine. How does Ulthera compare to invasive surgery? With Ulthera, you’ll see immediate and longer-term results. These results won’t be as pronounced as those from a face, brow or neck lift, but they will also require less pain and downtime upfront. Ulthera was designed for people who aren’t ready for invasive surgery – or just people who want to be proactive about their appearance. Also, folks who have had facial plastic surgery already can use Ulthera as a form of maintenance. In terms of cost, Ulthera is considerably less expensive than invasive surgery – as low as a third of the cost of going under the knife (or needle).